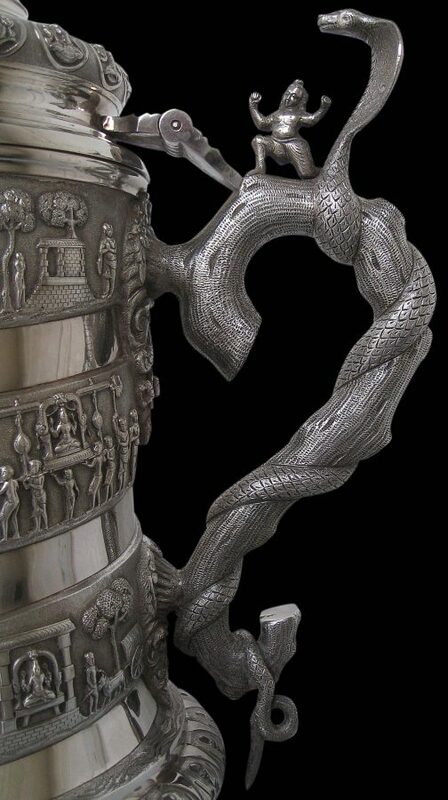 The handle has been cast as a thick and gnarled tree branch with rough textured bark around which a large hooded cobra is entwined. 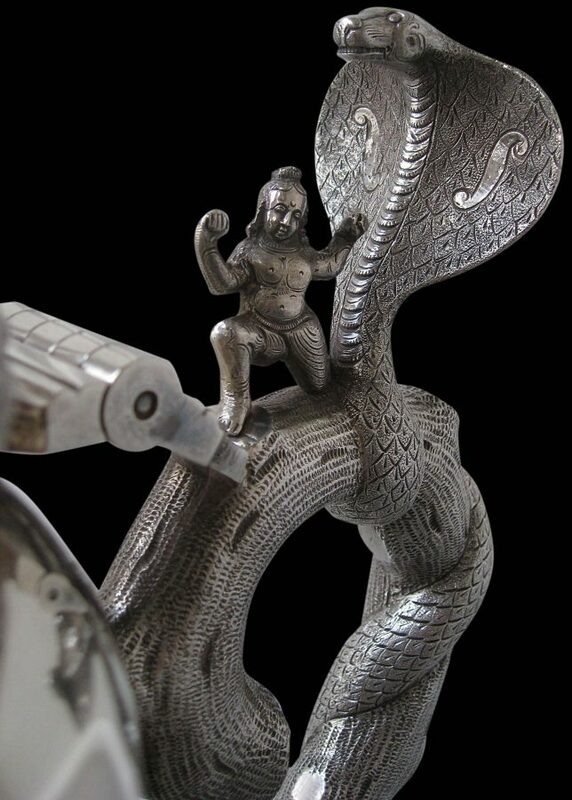 The cobra rears over a kneeling figure of Krishna dressed in a striped dhoti. 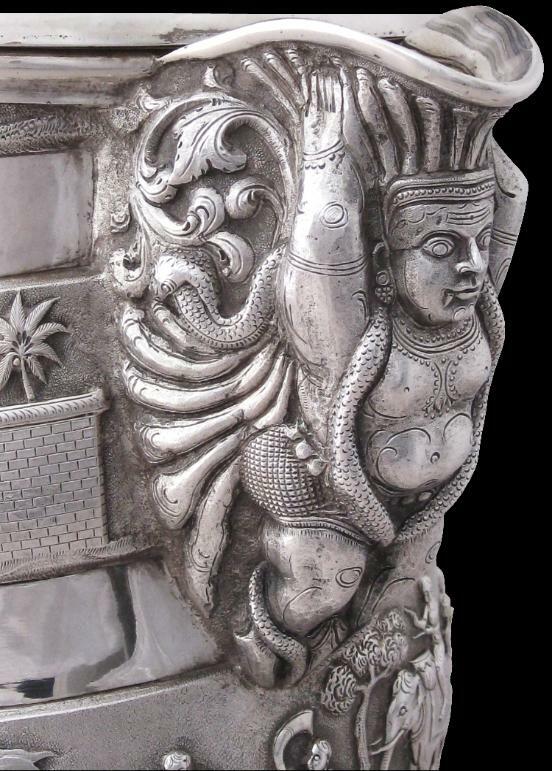 The spout is quite extraordinary and comprises a Medusa-like god or goddess with dozens of writhing snakes as hair and draped about the body. 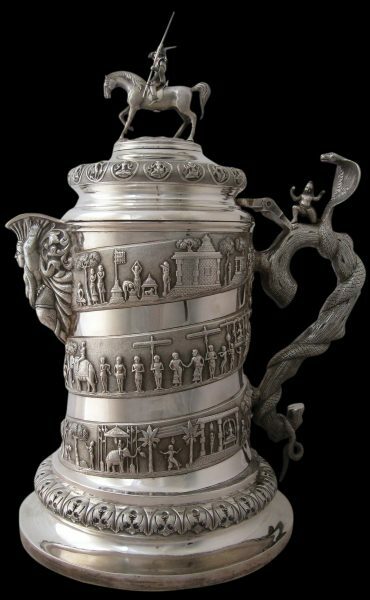 The casting of the spout alone marks out the spout itself as a tour-de-force of colonial Indian silver smithing. 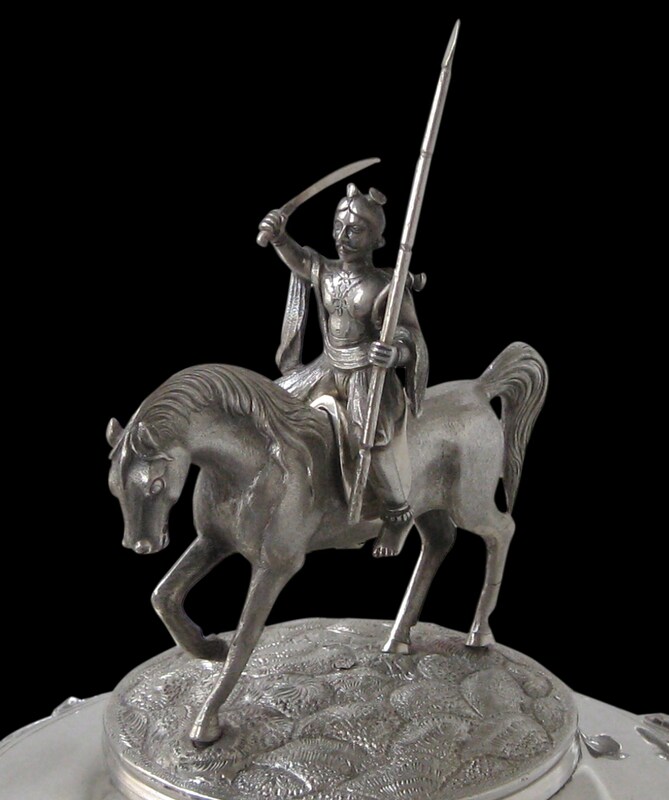 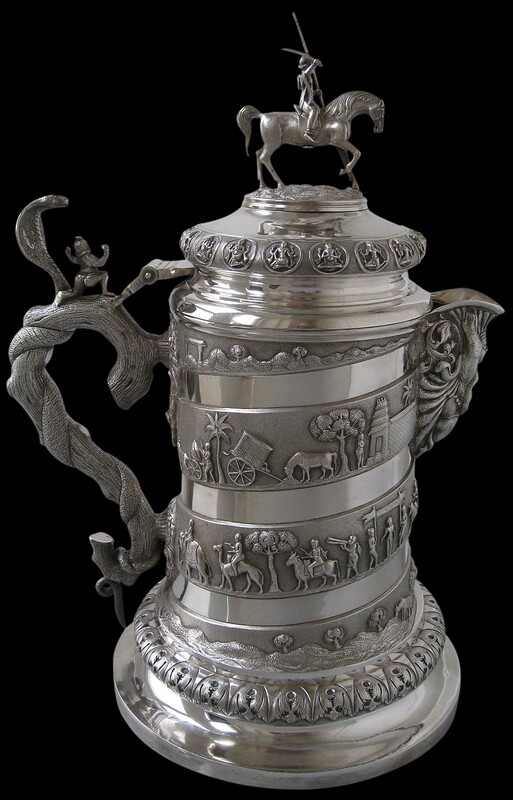 Wilkinson, W.R.T.,Indian Silver 1858-1947, 1999.